Trusted Lighting Service | Lighting Maintenance Inc.
We combine the best equipment and trained personnel with unmatched diagnostic experience. 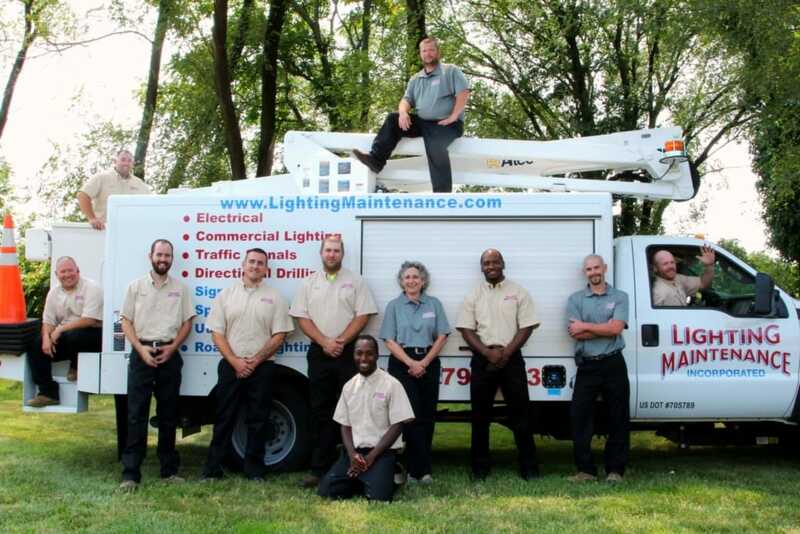 Lighting Maintenance Inc. (LMI) is an electrical contractor, licensed in Maryland, Virginia, Delaware, and Washington DC. We specialize in design, construction, and repair of lighting and electrical systems. Michael and Hilary Yoder established LMI in 1991 and still run the business today. We conduct lighting inspections, as well as installation, repair and upgrades of street lights, roadway lights, parking lot lights and sport lighting. We have lighting technicians available to assist you with interior lighting projects, from a simple repair to a complete energy saving retrofit. We employ many licensed Journeyman and master electricians, all of whom are capable of repairing, maintaining, or installing all types of electrical equipment. Serving Maryland, Virginia, Delaware and D.C.